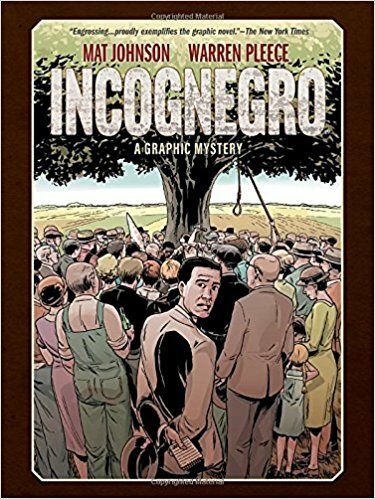 We return to our book club discussion with Daph J’s latest pick, Mat Johnson’s and Warren Pleece’s gut wrenching yarn, Incognegro. This story takes place in the 1930’s United States and follows the path of an undercover african american reporter who is able to pass as white man while investigating lynchings in the segregated south. A story of survival and identity, Daph J and Eric try to make sense of things as they deal with their emotions and revelations after reading this graphic novel.